Houthi delegation arrives in Sweden for peace talks December 6, 2018 at 2:15 am | Published in: Europe & Russia , International Organisations , Middle East , News , Oman , Sweden , UN , Yemen A member of a Yemeni rebel delegation prepares to fly accompanied by a UN peace envoy, heading for high-stakes talks in Sweden with the government aimed at ending the country's devastating war, on December 4, 2018 in Sanaa. 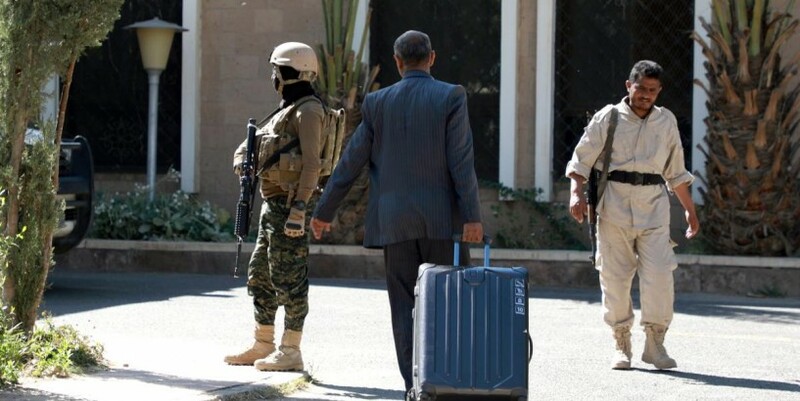 - The departure of the Huthi insurgents followed a prisoner swap deal and the evacuation of 50 wounded rebels for treatment in Oman in a major boost to peace efforts. (Photo by Mohammed HUWAIS / AFP) (Photo credit should read MOHAMMED HUWAIS/AFP/Getty Images) December 6, 2018 at 2:15 am A Houthi delegation arrived in Sweden late on Tuesday to participate in the UN-sponsored peace talks; a delegation member told Anadolu news agency .